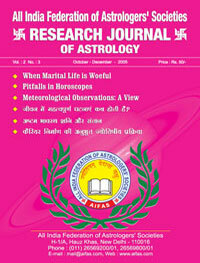 The effects of dibilitated Moon & Jupiter could not be included in the list in the perevious artical under above head appeared in the Research Journal of Astrology (Jul-Sep 2005) issue which are being discussed now. 1. Birth during the month when the Sun is in Libra leads to swinging career, relatively poor health & hindrance in the delivery of children. These results of course depend upon the placement of Sun in the natal chart. Should the posiiton of Sun be around 10° in Tula i.e. Param Neecha, the Raj Yoga present in the chart loses its potential. 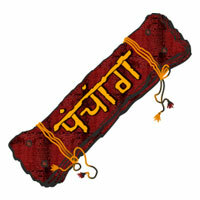 It is also called as 'Kartik-birth' i.e. 7th Month of Vikram Era. Parashara says तुलायां दशमें भागे स्थिते कमलबोधने। सहस्त्र राजयोगानां नाभयत्याशु जन्मनि।। That is Sun posited within 10° of Tula is capable of cancelling a thousand Raj Yogas. 2. Parashara also does not extol a debilitated Moon. 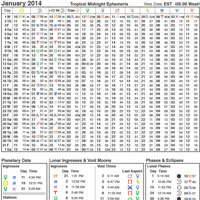 The Moon in its neech Rashi or Navamsha can nulify or reduce many good effects/features present in a chart. Hence नीचे नीचांभके चेन्दो सर्वसौख्य विनभयति। Parashara also mentioned that Saturn, Mars, Jupiter, Venus, Moon and Sun progressively in the order mentioned above are more capable of causing harm to the native when they are in their Param Neech debilitation point. In other words Sun and Moon in debilitation cause maximum damage to any Yoga present in the chart. This dictum is clearly mentioned in the following shloka बुधादष्ट गुणो जीवस्त स्मादष्टधिको भृगुः। शुक्रात्कलधिक श्चन्द्रः तस्मादभानुर्षलधिकः।। It means i. Debilitated Mercury takes away a major part of good effects. ii. Compared to Mercury if Jupiter is debilitated , it is 8 times more potent to do the damage. iii. Venus in debilitation is 8 times more potent to do damage than Jupiter. iv. Moon in debilitation is 8 times more potent to do damage than Jupiter. v. Sun in debilitation is 8 times more potent to do damage than Moon. If Moon & Sun both the lumanaries are debilitated in Natal chart, they cancell all Raj Yogas and other good combinations in the horoscope. Two example charts in this context are discussed below : Example 1 : Male Native DOB : 10.11.1980 TOB : 04.40.00 POB : Pathankot (Punjab) Dasha at Birth : Mercury 10.11.80 to 25.11.96 Ascendant	25°32' Sun	24°07' Moon	17°24' Mars	27°19' Mecury(R)	10°08' Jupiter	08°58' Venus	19°08' Saturn	12°13' Rahu	21°27' On the face of it we fined following excellent formations. i. 4th lord Jupiter 5 Lord Saturn in Lagna ii. 4th lord Jupiter 9th lord Venus in Lagna - name, fame and rise in career. iii. 7th Lord Jupiter with 5th Lord Saturn and 9th Lord Venus. iv. Exchange between 1st lord and 2nd lord i.e. 1st lord Mercury is retrograde and in 2nd house, and 2nd lord Venus is in Lagna, though in debilitation. It should give lot of wealth and intelligence. The native should be magnanimous and strong. v. Mars in 3rd House in its own sign with Moon the 11th lord and forming Chander - Mangal Yog. (though Moon is debilitated). vi. Rahu in 11th house in Nakshatra of Mercury (Ascendant Nakshatra lord & lagna lord), an excellent placement. It should give good effects during its mahadasha/antardasha. vii. Exchange of constellations : a. Rahu in Nakshatra of Mercury and Mercury in Nakshatra of Rahu. b. Sun in Nakshatra of Jupiter and Jupiter in Nakshatra of Sun. This exchange is very good and shall boost the strength of planets. viii. Jaimini astrology Saturn becomes Yogdha planet of 1st order as it is aspecting lagna of Lagna kundali, Navamsha & Dreshkan. Such a planet gives highly benificial results in its mahadasha/antardasha. With these good yogas present in the horoscope, native should be extra intellegent, well educated, able to earn name, fame & good settlement in the profession. Native is 25 years of age. Example 2 : Male Native DOB : 3 November 1978, TOB : 13.20.00 POB : Rohtak Dasha at birth : 3.11.1978 to 30.6.1992 of Mercury Planet	Longitude Ascendant	20°50' Sun	16°58' Moon	19°16' Mars	7°21' Mercury	06°26' Jupiter	14°41' Venus(R)	24°16' Saturn	18°03' Rahu	02°18' 1. 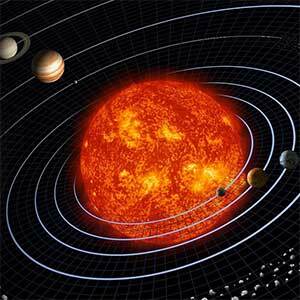 Chander Mangal Yog Mars is lord of 4th & 11th and posited in 11th house with 7th Moon giving rise to Chander Mangal Yog. 2. Conjunction of 4th and 9th Lord in 11th house When 4th and 9th lords are conjunct in a good house, native should possess fortune, vehicals, happiness, he should reach his best period in dasa of 4th lord and bhukti of 9th lord. If dasa of 4th lord does not reach, dasha of 9th lord gives the same results. 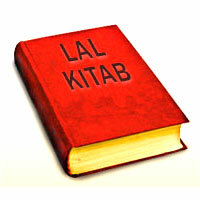 However bhukti of these lords also give very good results. 3. 4th lord Mars and 9th Mercury are conjunct in 11th House. They should give very good results in its mahadasha/Bhukti Venus (R) being lord of 5th and 10th is posited in 10th house in its Mooltrikona Rashi and getting aspect of Saturn the Lagna Lord & 2nd Lord. It means lords of 1, 2, 5 and 10th houses are having relationships. Venus(R) is also posited with 8th Lord Sun in 10th house. It means that native should earn name, fame, settlement in profession in dasha and bhukti of Saturn and Venus. Native is an undergraduate but knows computer & does computer related jobs. Native has raised a loan of 8-10 lakhs for carrying out his computer related work but it did not work. He is under debt of Rs. 10 lakhs and is running here and there to evade recovery of debts.